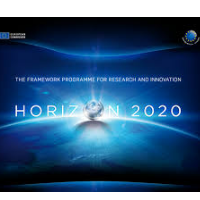 The new OCEANERA-NET (Second) Joint Call for collaborative R&D projects is now open. The Energy Academy has been asked to share this news to our networks to promote the call, details below. In terms of Scottish Universities, Scottish Enterprise is supporting this through its R&D Grant, which means it can support research organisations but only if they are working with a Scottish company, and up to 50%. The Energy Academy will support the brokerage event on February 25th and I’d like to use this opportunity to offer help in building networks if that is helpful? The deadline for Pre-proposal submission is 30 March 2016. An Information and Brokerage Event is taking place in Edinburgh on 25th February. This will include information on the call. When you register you will be given an opportunity to submit a profile, including your organisation’s expertise and any project ideas, and use the matching service to organise meetings. The event is free and does not require registration for the ICOE2016 conference. Registration is via https://www.b2match.eu/ICOE2016 Please click on the green button on the top right hand side. The draft agenda for the brokerage event is available on http://www.oceaneranet.eu/event/oceanera-net-workshop-at-icoe-2016-on-25-february-2016-269.html . Throughout ICOE2016 we also have an OCEANERA-NET stand (number 50) in the exhibition area. If you are planning to attend it would be great to see you at the stand at some point. If you have any general questions about the call, please contact the Joint Call Secretariat: Karen.fraser@scotent.co.uk Tel. +44 141 228 2066. Potential applicants should also contact their national / regional funding organisation. Contact details are provided in the Guide for Applicants.